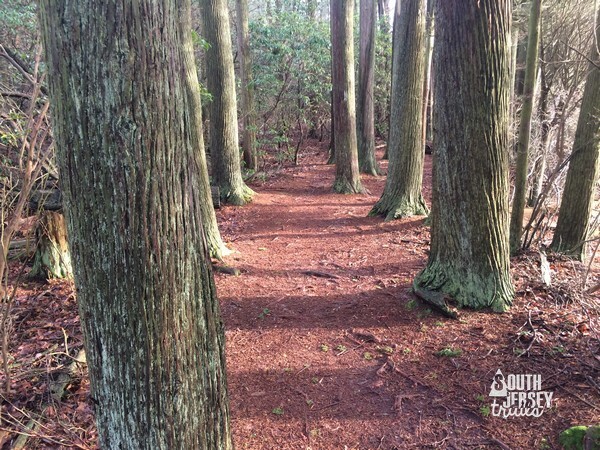 In 2016, I hiked 32 new trails in South Jersey! Why not take a look back at the highlights of an awesome year? 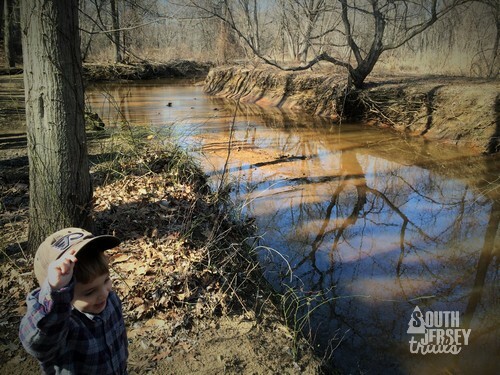 This 6 mile (one way) hike stretches down an old railroad right-of-way between Elk and Elmer in Gloucester and Salem Counties. 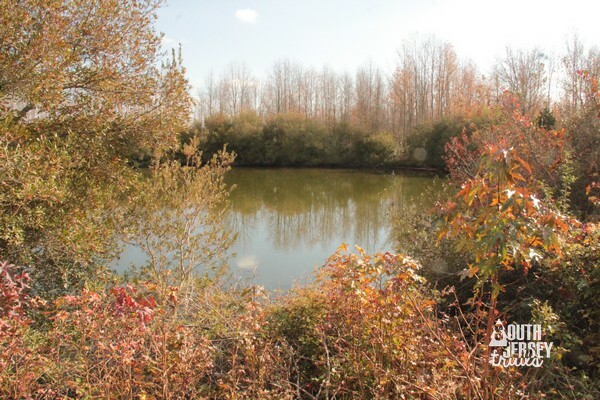 Highlights include beautiful views of farms and of some amazing swampland. 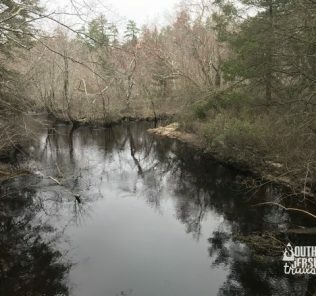 This is also the only trail in South Jersey where you have a theoretical chance of seeing an elephant, as one escaped into this swamp back in the 1800s and hasn’t been spotted since. Dun dun DUN! It’s an eleph… oh no, just a building. 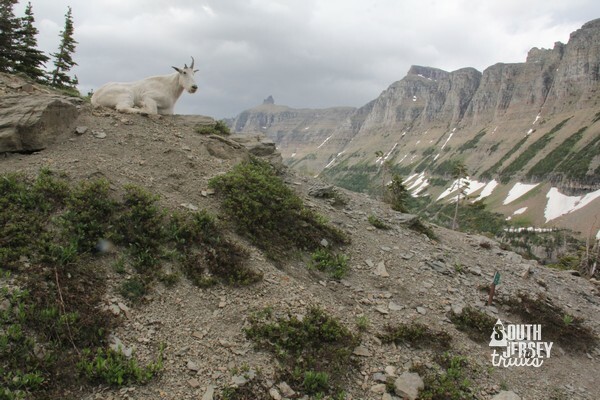 Thanks to Pat, Chuck, Tom, Skunk, and Bert for hiking this one! 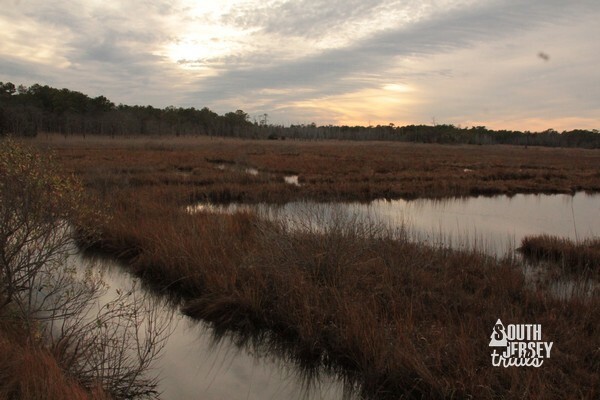 This beautiful Nature Conservancy Preserve down in Cape May County has two major trails that combine for just over three miles. These wind through both mature and young forest, past wetlands, and along small meadows, great variety for so few miles. The trails are all well maintained and marked, and have lots of little bridges (we all know what a sucker I am for little bridges), so well worth the trip down to Cape May Courthouse! 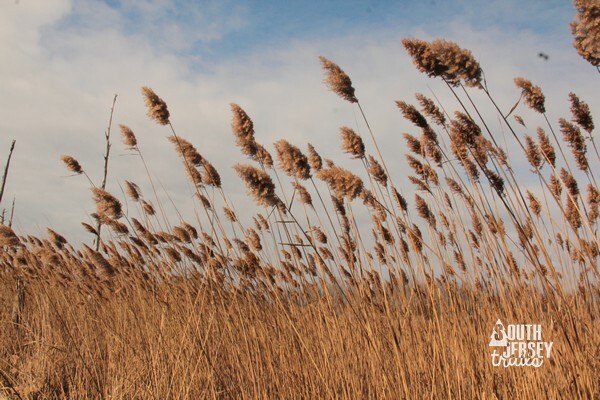 This Cumberland County preserve has four trails (totaling 5 miles) in the marshes along the beautiful Delaware Bay. Anywhere we can go to potentially spot osprey or bald eagle is a great spot in our book, just pack the bug spray in the warm months! 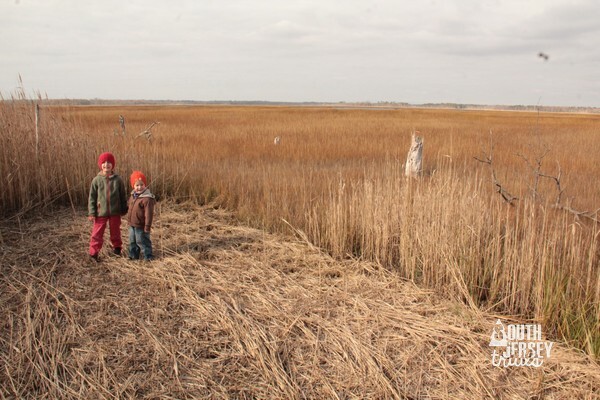 Nice views of the Delaware Bay and marshes and a variety of other bird life are just icing on the cake. 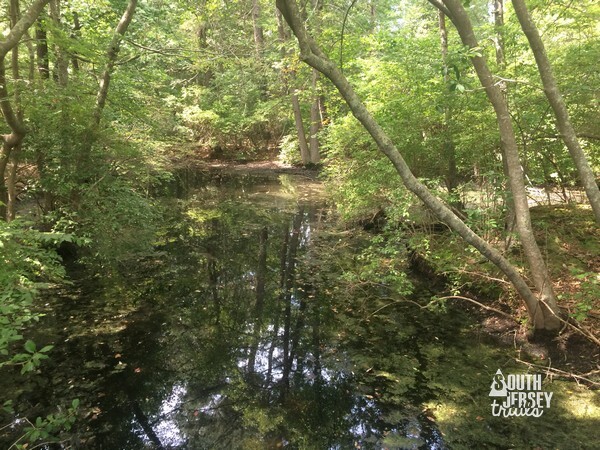 Another BEAUTIFUL park in Cape May County, this 1 1/4 mile of trails winds through a property that has served in the past as the exit point for the railroad heading to Ocean City, as a sand mine, and as a private hunting preserve. Now it’s small lakes (the old sand pits) covered in lily pads and birds, generously surrounded by benches (including swinging benches!) and pavilions. A short, but beautiful, hike, I fell in love with this one this summer and hope to visit whenever I’m at the shore. 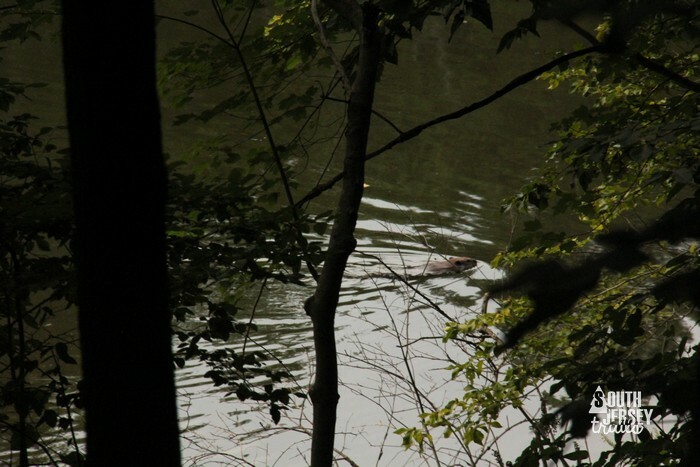 This one is one of the coolest place in South Jersey even without the hiking – Woodford Cedar Run Wildlife Refuge. 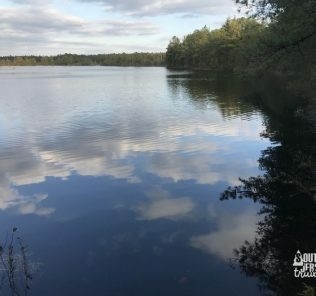 But the hiking – around the lake, through the animal housing area, through a nice patch of pinelands – just makes the trip that much nicer. This is a GREAT hike with kids in particular, and the $5 entrance fee goes to keep the place helping animals. Some nice birdwatching too! 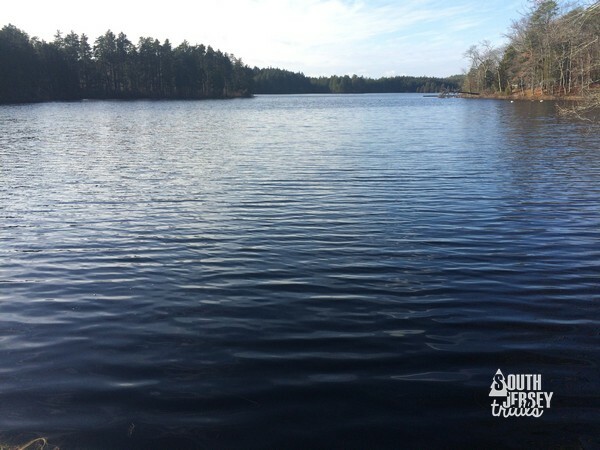 Parvin State Park is a beauty- 15 miles of trails through the woods, through wetlands, and around the lake. 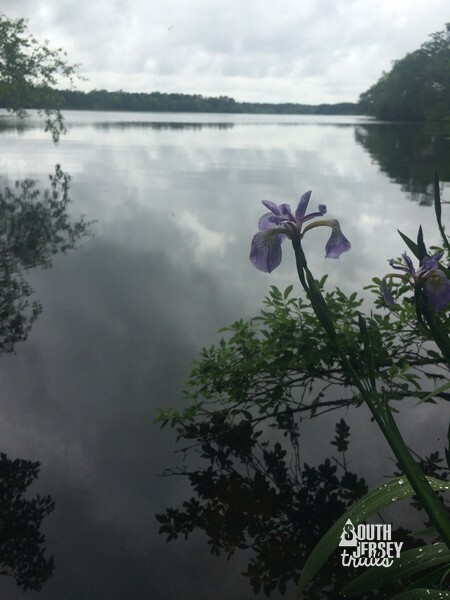 The Parvin Lake Trail in particular is a real winner, with lots of birds, flowers, and lake views to keep you constantly happy with your views! Get bored with hiking? 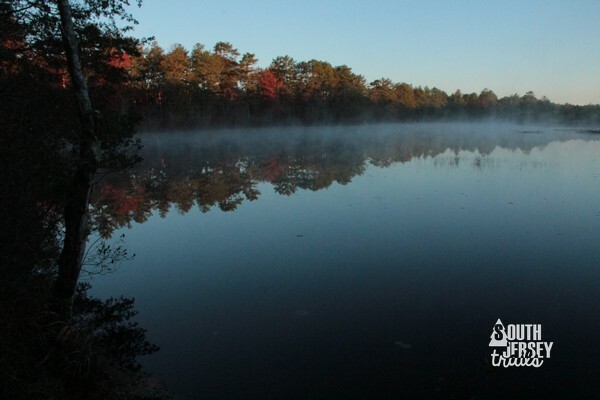 You can go fishing, swimming, canoeing, or camping here too! View from the nature center roof. 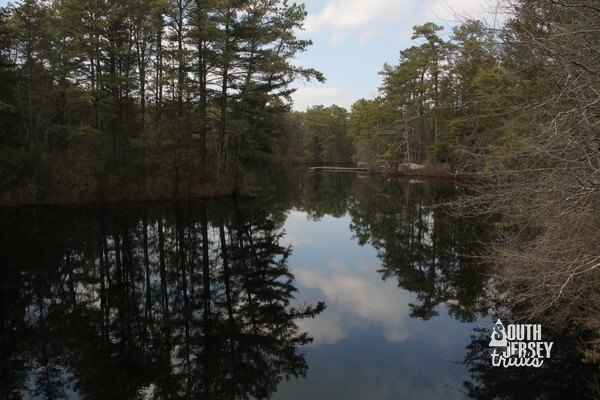 These 8.6 miles of trails here are what the pine barrens are all about. 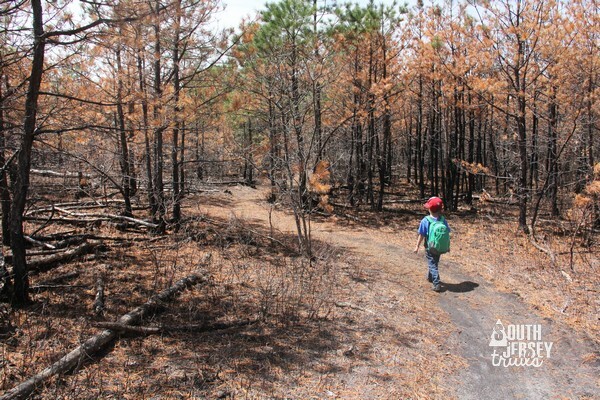 The best part of hiking here is that this park has had a series of fires and controlled burns over the past decade, which means that you get very different views of pine barrens forest succession as you hike along. 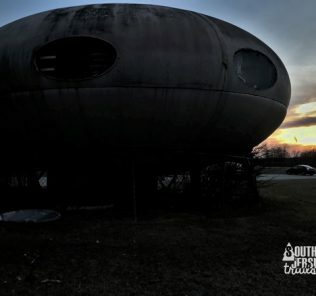 There is also a really nice nature center here, which you can climb to the top of to get a birds eye view of the preserve, as well as of the airship hangers at nearby Lakehurst Naval Air Station. 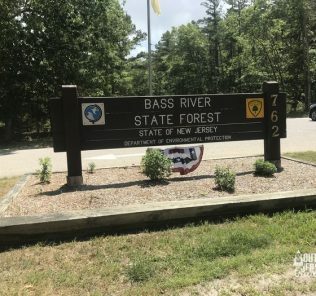 When New Jersey’s newest state park was announced (and was only 15 minutes away), we here at this absurd blog became absurdly excited. We made it there three times in 2016, and I can promise you that it’s a beauty. The trails may be paved old golf cart paths, but we managed to see a snake every visit, the variety of trees is awesome, there are plenty of birds around, and you can pretend that you are in “The Walking Dead” as you walk past falling apart relics of when this was a golf course (at least until someone walking their dog comes into view). Big thank you to loyal reader Roger for acting as tour guide our first trip and to Jeff at GetOutsideNJ.com and my buddy Mike and his little guy (even littler than my little guys) for exploring this one with us! 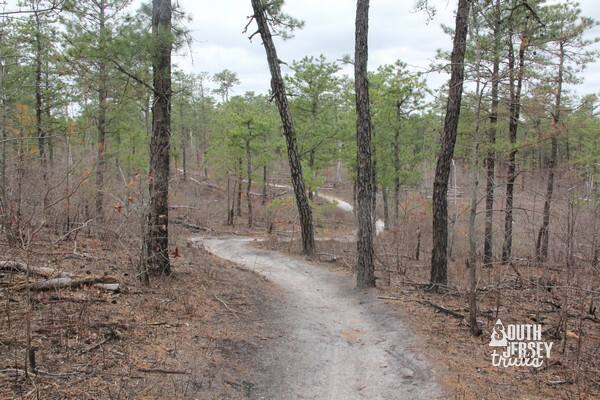 14.5 miles of trails (plus a three mile bike trail) in the beautiful pine barrens of New Jersey, it doesn’t get much better than this. Tree Rider decided he was going to hike, so we didn’t get as many miles in here as I would have liked, but what I saw in the two miles that we managed to cover was completely awesome – pinelands, a beautiful lake, and some wonderful cedar swamp. 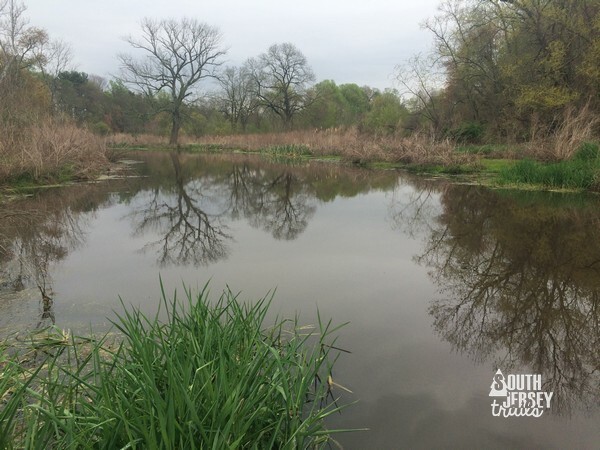 This recommendation isn’t just for you, it’s a kick in the pants to me to get back and do the 8.6 mile Penns Hill Trail, because this is easily one of the finest parks in South Jersey. 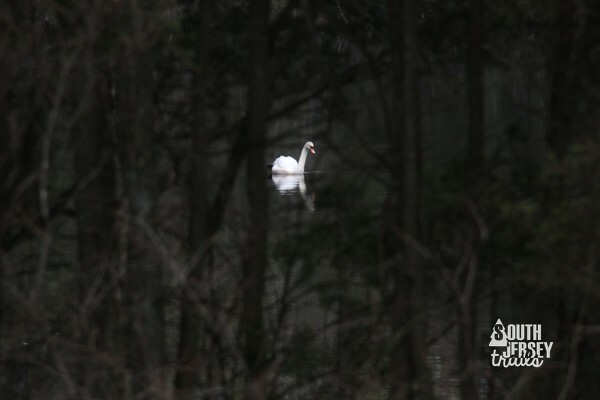 I’d been hearing about this park over and over and over again since I started this blog, and I finally managed to make the drive across South Jersey in December. All I can say is, how in the world did I wait so long!? The 7 miles of trails here are phenomenal! 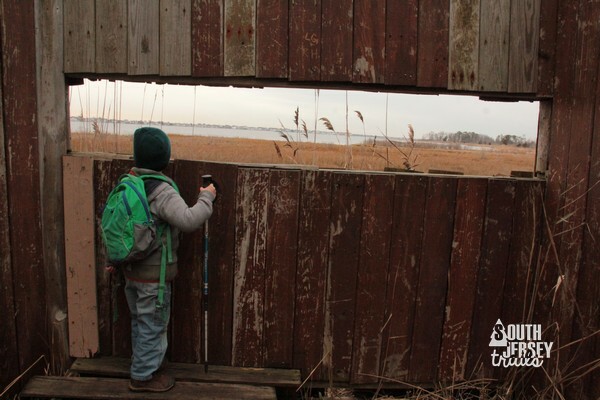 As they wind along the marshes fronting Barnegat Bay, the Blue and Orange trails presented beautiful view after view of the marshlands, with a few bird blinds thrown in along the way to help you spot the birdies without them spotting you. Even the roadwalks between trailheads were wonderful. The best part? I have it on good word from loyal reader Jim Ryan that the Red and Yellow Trails that we didn’t get to are just as good, if not better! Hopefully this gives you some great ideas to start your 2017 hiking plans! 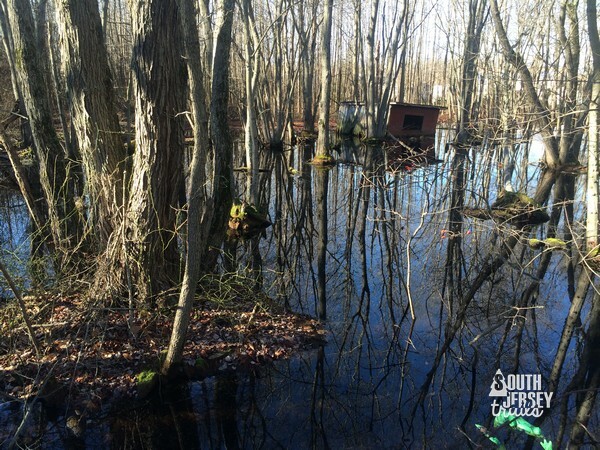 While I HAVE TO run out of trails in South Jersey at some point, I don’t think that 2017 will be the year. Full speed ahead! 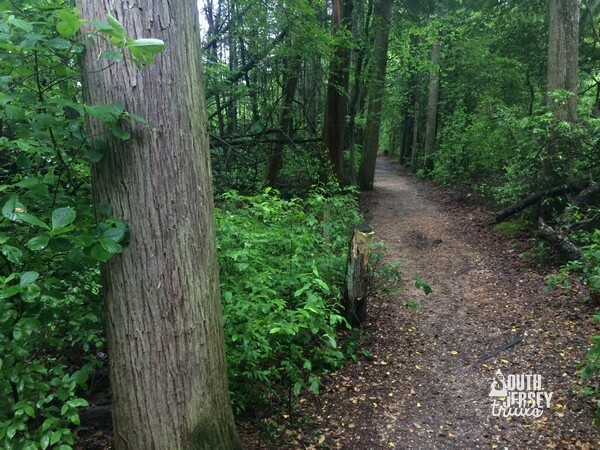 55 Miles in Two Days on the Batona Trail … never again! Crows Woods – 9 times. 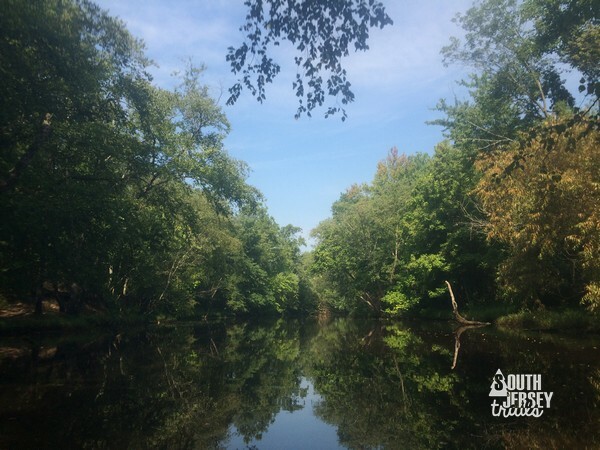 Burlington County, Canoeing, Cape May County, Cumberland County, Gloucester County, Hiking, History, Ocean County, Outdoors., pine barrens, Private Park, Salem County, South Jersey, State Park, Town Park, Wildlife. 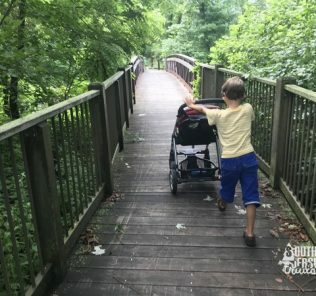 Just so you know Cattus Island Park also has a Yellow trail (unless you hiked this one and just made a typo mentioning the orange trail twice in your review) that leads to the County Parks department building on Yellowbank Road. That trail can be accessed from either Cattus Islands Red trail (you have to pay attention for the yellow markings on the trees) or from the park at the end of Yellowbank road. That trail has about 6 or so small wooden path bridges and at the Yellowbank end there is a small cliff area (maybe 7 or 8 feet high) overlooking the bay. You can see that “cliff” to your left across the water as you walk out on the dirt road where the Blue Trail is. I have not been there in a couple months but last time I was there we had guys working on the Cooper Building and repairing various walkways including the Orange trail out at the end. (I work for Ocean County B&G department). One final note. When the orange trail was open for hiking about a year ago I saw deer out there almost every hike. Thanks for the reply Robert! Totally a typo, didn’t catch it (but just fixed it- thank you!). 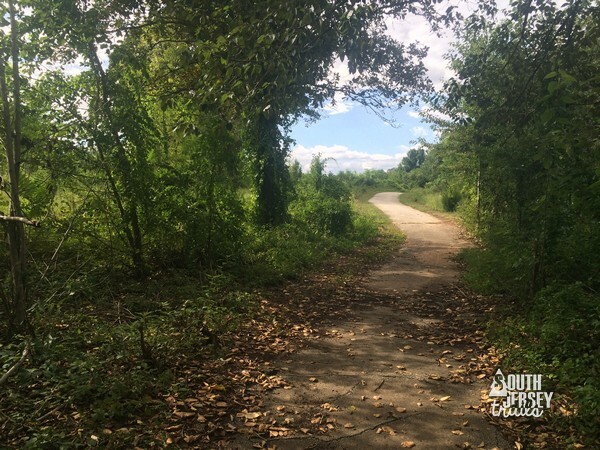 We’ll definitely be back to check out those trails and to see the Environmental Center when it opens back up! Anyway, thank you for your blog; over the past few years, I have definitely gotten ideas on new places to hike. Looking forward to a prosperous 2017 adventure. Happy Hiking! Hi Jim! Thanks, as always, for the reply. I only considered the trails I hiked this year that I hadn’t hiked before, or else I’d make myself insane trying to pick just ten (and then order them, ack!). You’ll love Tall Pines. It’s really different from other trail systems because of the fact that you can still tell its an old golf course, but I loved it all the more for that (and it won’t always have that feel). If you want to give me a heads up when you’re going and would like company, I could possibly meet you over there for a hike when you go. I do love Historic Smithville, but it wasn’t a new one this year, so it wasn’t in the pool. I did rank it my third favorite hike the first time I did one of these lists, and I think it would have to be in my all time top 10. Hey, perhaps I will indeed give you a “heads up” when I do Tall Pines. 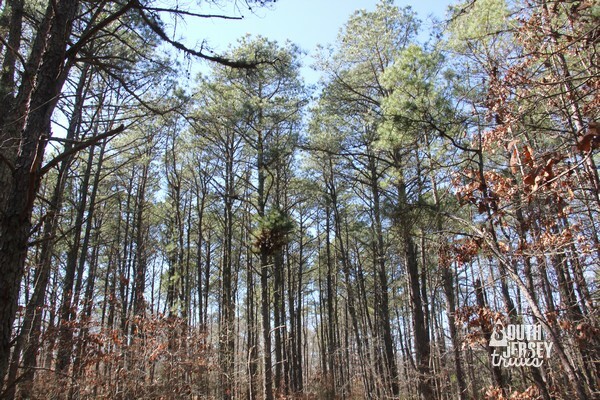 Would probably be sometime in mid/late spring or early summer; although perhaps early spring would work too…the pines would probably stand out more from the deciduous trees sans their foliage. I do love the fact that it’s on an old golf course — will certainly be different! (There is a 1.9-mile paved trail that runs through Lancaster Host Golf Course [in Lancaster, PA] that is actually multi-use which I have done, so that one was a “live” golf course for me, but I haven’t been on a “former” golf course yet. Can’t wait! Mike: Excellent analysis. Bess, the hound, and I have to check some of these out. 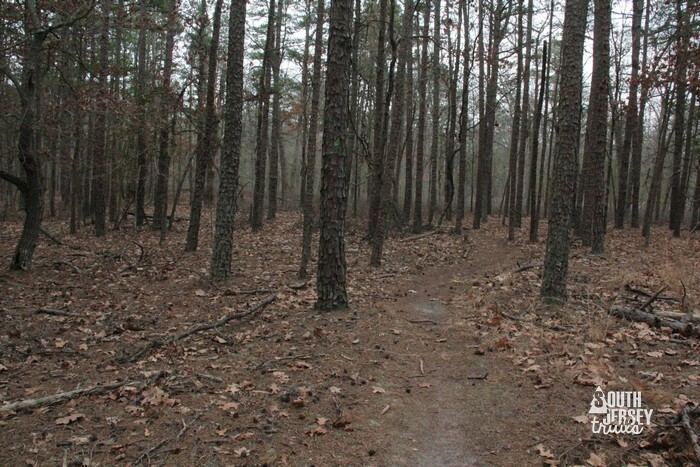 You’re probably aware of Kresson Trails in Cherry Hill at Springdale Road and Kresson Road. It’s a great little best pocket park. Bess and I usually do a couple of miles as an early morning jaunt. I love Kresson Trails, I see deer every time I’m there. It’s probably my second favorite of the 12 Cherry Hill Township trails (my favorite being Croft Farm). I’m also continually amazed at how many miles it’s possible to do back there. 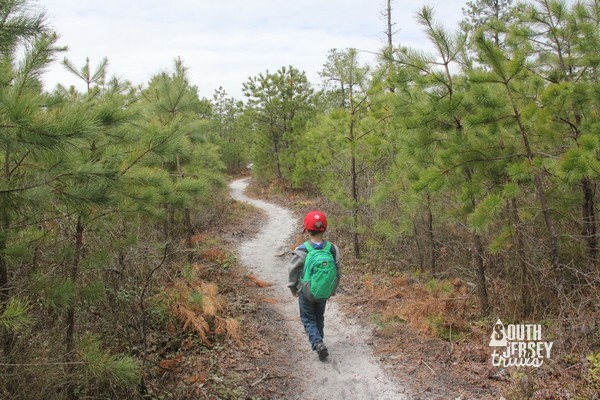 I am not sure if you have been there or not but at the southern end of Ocean County there is a decent hiking trail at Freedom Fields in Little Egg Harbor Township. The park is mostly geared towards soccer, baseball etc but the trail is pretty decent going through the woods. 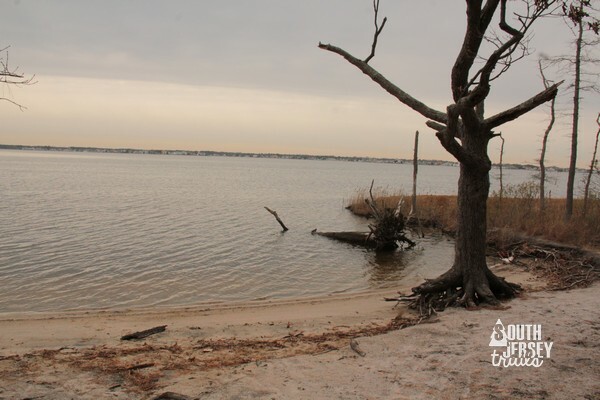 http://www.oceancountyparks.org/ContentPage.aspx?ID=96456b7d-e53d-4b0c-9ce1-9f0222c1ac8b. We have not done that one, thank you for the suggestion! I just added it to the future adventures list so that I remember it. Robert — thank you (from me) for the tip as well — I have done a number of the Ocean County Parks as well, and while I have heard of Freedom Fields, I didn’t realize there was a trail there either. I may very well add this one to my list too! 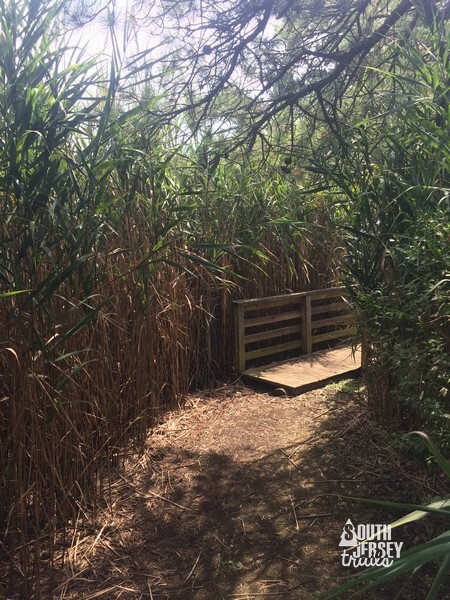 BTW — Ocean County has an _excellent_ Park/Trail system…like southjerseytrails, I also really enjoy Cattus Island! 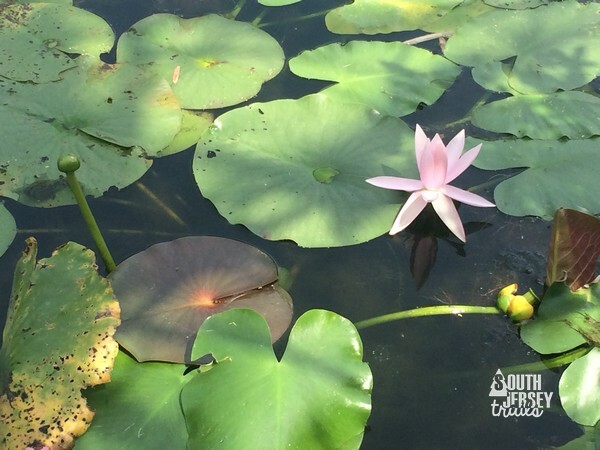 More recently (last year), I checked out Lochiel Creek & Cloverdale Farm Parks…very nice!